things in nature strike me. Nature allowed us to see great beauty if we open our eyes to see. I like the photo. Made me wish to wander into the forest today. Thank you the photo and description. Very nice. I often find myself taking photos of similar nature shots because they are so intriguing. Thanks Jennifer! Looking at things like this in nature makes my day, and makes it just a little bit different and better for that. 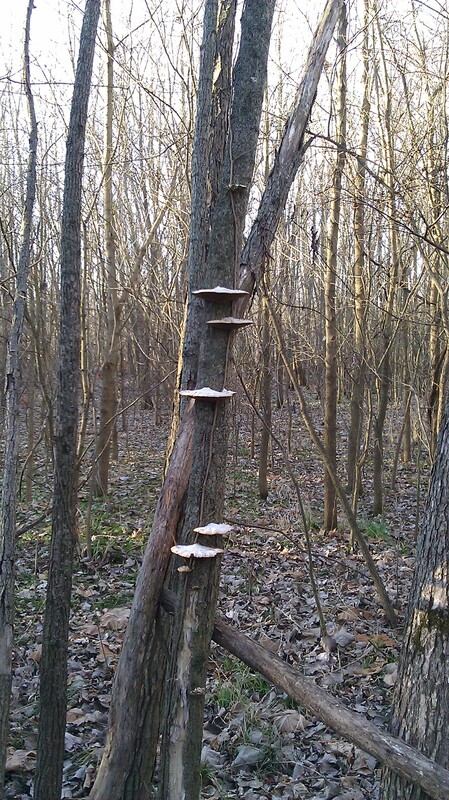 A mushroom stairs to the sky! I’m always intrigued by what people see in pictures and art!